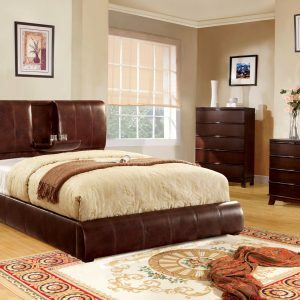 Crafted from tropical mahogany solids and a variety of beautiful veneers the Nevis collection features solid wood drawer boxes with English dovetail joints on both front and back full extension ball bearing drawer glides and are corner blocked to ensure rigidity making the as functional as they are sleek. 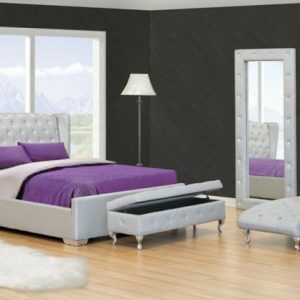 the wide variety of pieces are enhanced by an elaborate American finishing process in either a rich spice or a deep dark espresso both complemented by brushed chrome hardware. 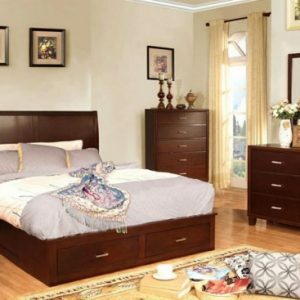 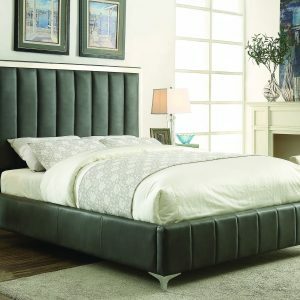 together with a vast array of contemporary platform low profile and sleigh bed styles the Nevis collection blends the sleek and exotic with functional.